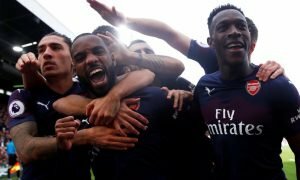 West Ham line up move for Arsenal outcast | The Transfer Tavern | Where football transfer rumours fly or die! There are a few surprised looks around the Football Transfer Tavern this morning as the Daily Mail reports that West Ham United are considering whether to make a bid to sign Arsenal striker Marouane Chamakh on loan in January. The Hammers are short in attack and bringing the unwanted forward to Upton Park would certainly add to their options. Irons manager Sam Allardyce was only able to name six substitutes during their 0-0 draw away at West Bromwich Albion on Sunday possibly demonstrating to the club’s owners that players need to be brought in during the January transfer window. Chamakh has been a flop at the Emirates Stadium after signing from Bordeaux in 2010 on a Bosman and is now regarded as being surplus to requirements at the North London club. The Moroccan international has only scored eight times for the club in his 40 appearances and Wenger is eager to remove his high wages from the club’s books. Report suggests that Fiorentina are also keen to end Chamakh’s nightmare spell at Arsenal but the chance to stay in England may sway things towards East London with the 28-year-old reported to be settled in the capital. 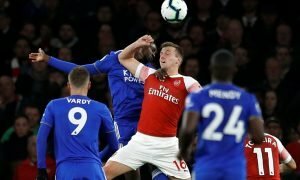 Chamakh’s expected departure will mark the start of Wenger’s attempt to offload his underachievers as he seeks to build a stronger team in time for the business end of the season. Could the Arsenal flop be a suitable fit for the Hammers? Vote in our polls below.